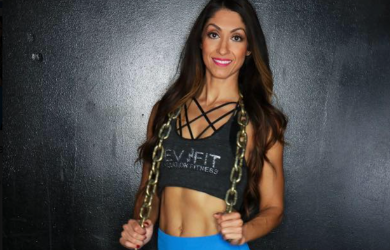 Four 45 - Minute Personal Training Sessions with Personal Training By Veronica at Revelation Fitness! Experience personal training by the Valley's best and most qualified Fitness Professionals. In a private session your trainer, Veronica Davids, will create a fitness program to work towards your goals and improve your health and fitness level as well as develop your athletic ability. Veronica will design a program specifically targeted at optimizing your strengths and improving your deficiencies, thereby facilitating you to accomplish goals as quickly as possible! Now is the perfect time to start taking care of you! Don't delay, start your fitness journey today! Call to Schedule Appointment (951) 303-4988. March 6, 2019 Not to be Combined with any other Offer. No Cash Value. 24 Hour Cancellation Required. Call to Schedule Appointment (951) 303-4988. Refunds are available on all unused Vouchers within 14 days of purchase date. No refunds or credits are available after 14 days. If for some unforeseen reason a business closes while or before your Voucher expires a credit for your purchase price will be issued into your account to use on future deals. Expired Vouchers are not available for credits or refunds under any circumstance.